Oversized glass vases and vessels are a great styling accessory you can use year round throughout your house or condo, but for Easter, why not try decorating them with some Easter eggs? 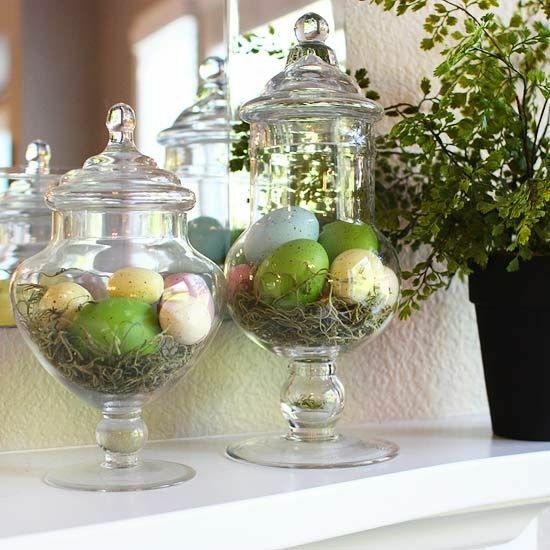 Lay some craft store moss on the bottom to give a cute nest effect and neatly arrange some pastel coloured Easter eggs of varying sizes. 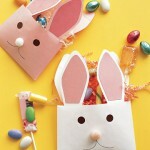 You can use either store bought eggs which you can reuse year after year or some DIY eggs. 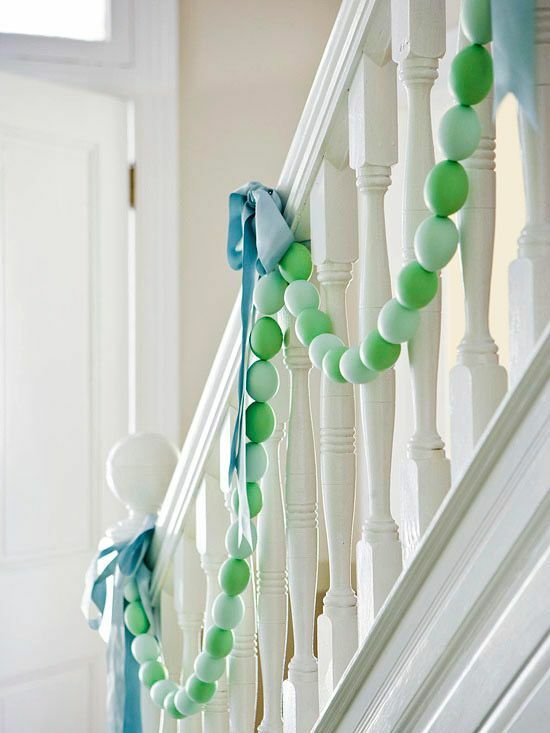 Easter egg garland can really dress up a staircase. Blow out about three dozen eggs, leaving holes on both ends. Dye the eggs the colours of your liking and use a bead-making needle threaded with stretchable jewellery cord or narrow ribbon to connect the eggs. 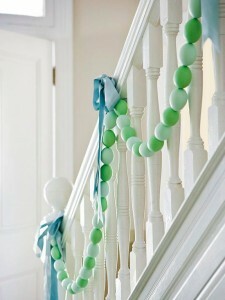 Your new house will be so ready for Easter once this garland adorns your staircase. 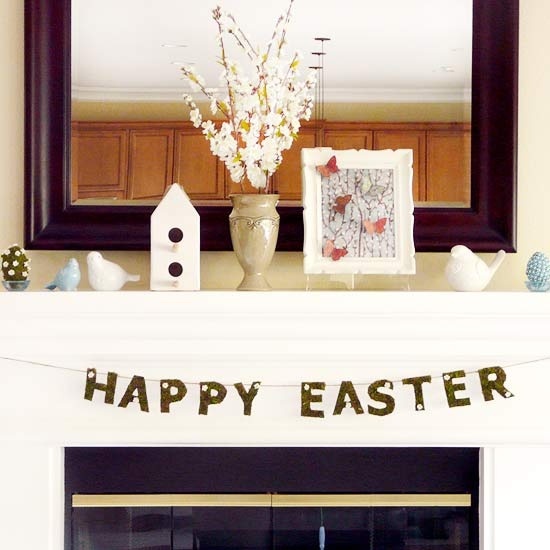 Decorate your mantel for Easter with a simple arrangement of flowers and spring inspired accessories. 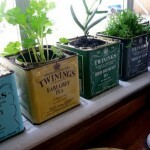 This can turn the mantel in your new house or condo into a pretty spring showcase. 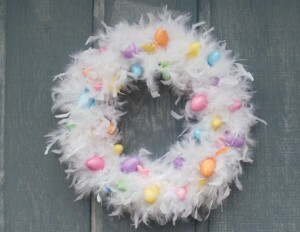 Front door wreaths are a festive way to spruce up any holiday and Easter is no different. This fun Easter wreath can be made easily using a craft store bought foam ring and a bag of feathers in the colour of your liking. Simply pin the feathers in place by laying clusters together and hot glue gun the final touches like coloured eggs and ribbon. For more great spring decorating tips and ideas, be sure to visit the Mosaik Homes Facebook Page!